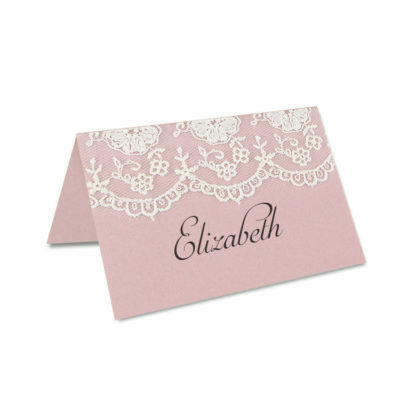 Featuring delicate lace to coordinate with our Elizabeth range. 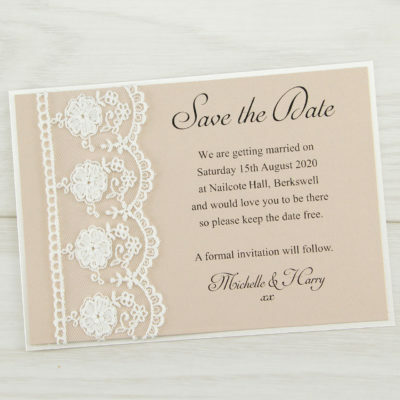 Customise to your colour theme. 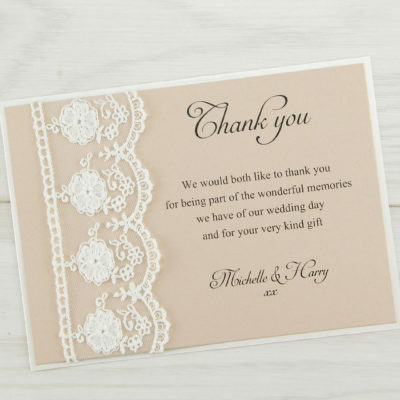 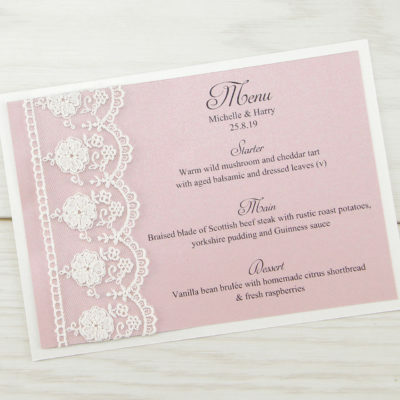 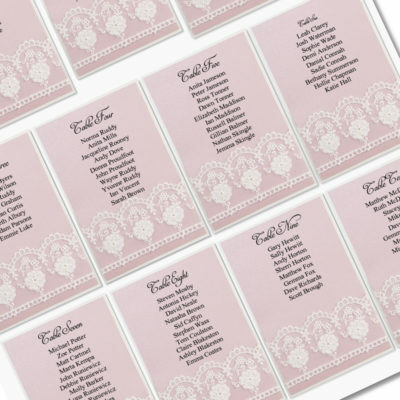 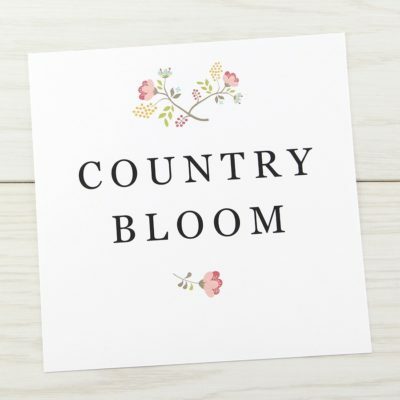 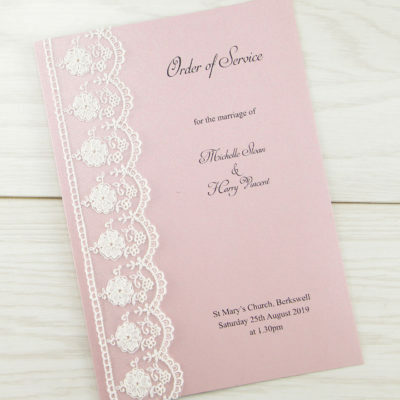 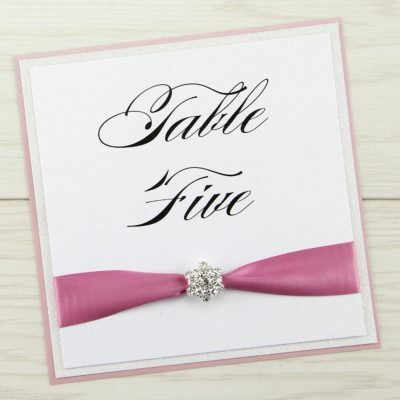 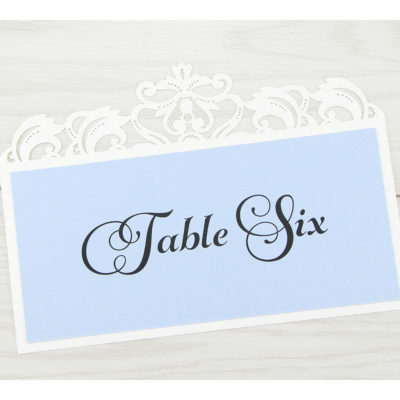 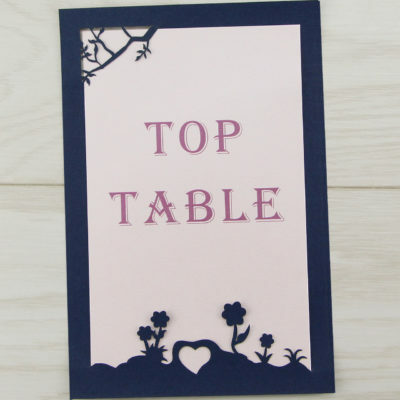 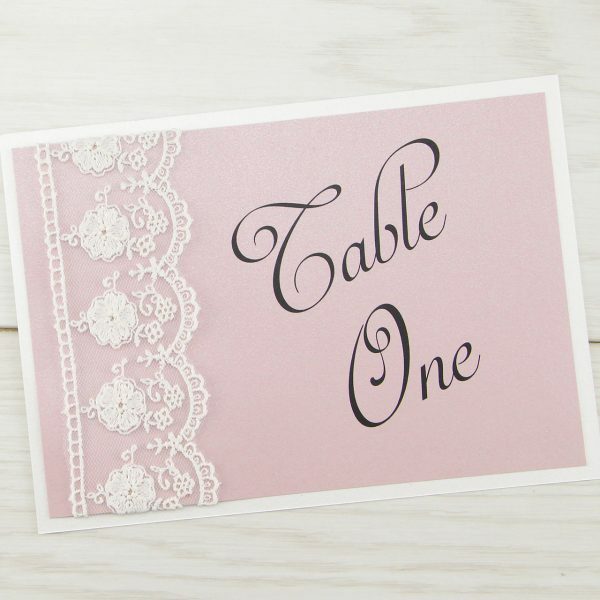 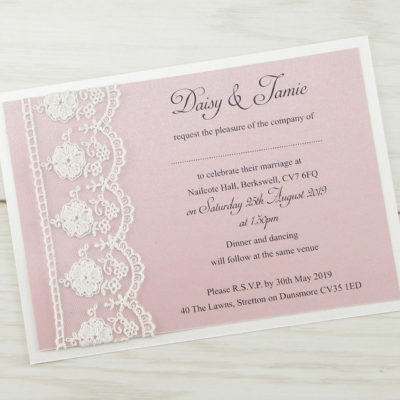 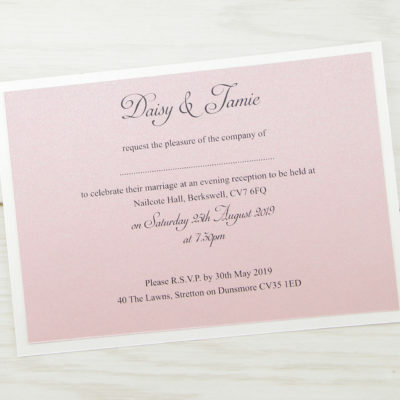 Pearlised antique white base card, lace and printed insert in your chosen colour.